This post contains affiliate links at no extra cost to you. Thanks for joining me today. I always love when you stop by. 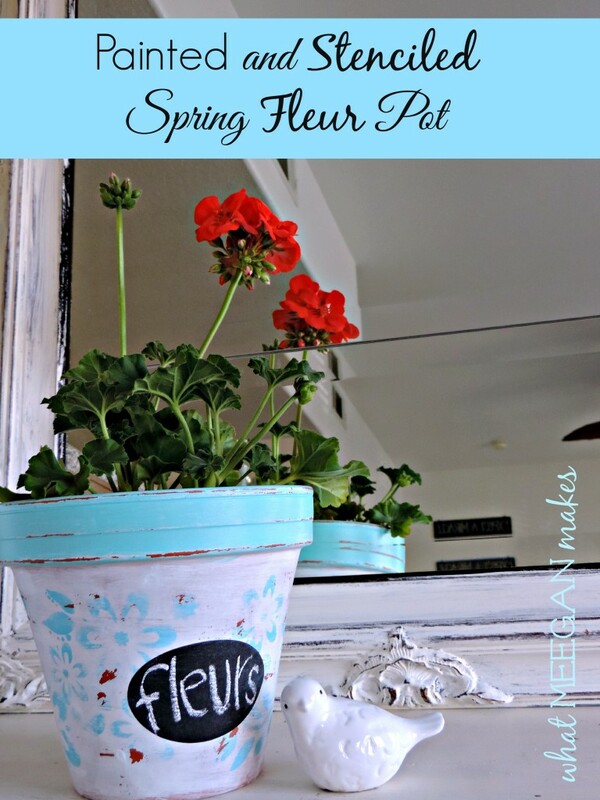 Today I am sharing my Spring Inspired Fleur Pot. All of my components were purchased at my local Michaels. Everything from the pouncers to the paint to the pot. It was very easy to find eveything I needed. There are even a variety of Chalkboard labels, in all shapes and sizes. I chose the oval ones for this project. They come 4 in a package with a piece of chalk. They are very easy to work with. 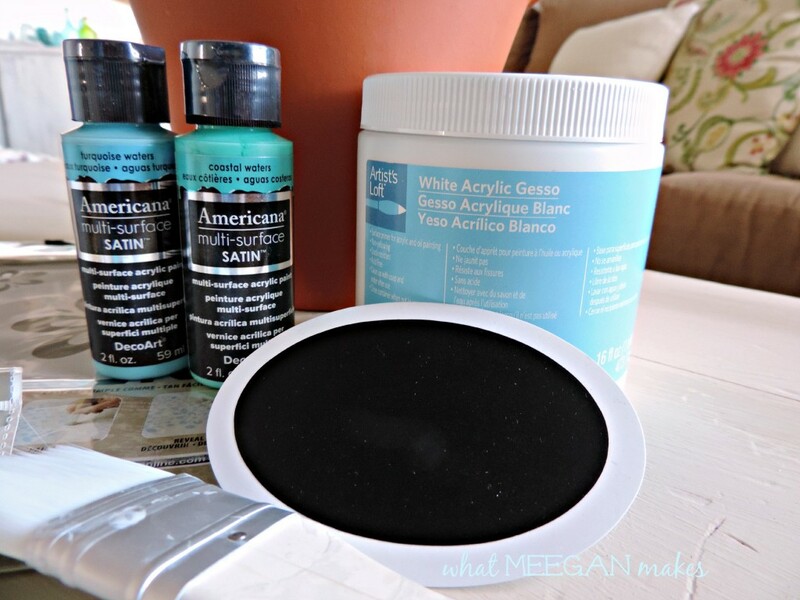 Have you ever heard of Gesso?? Me, niether. 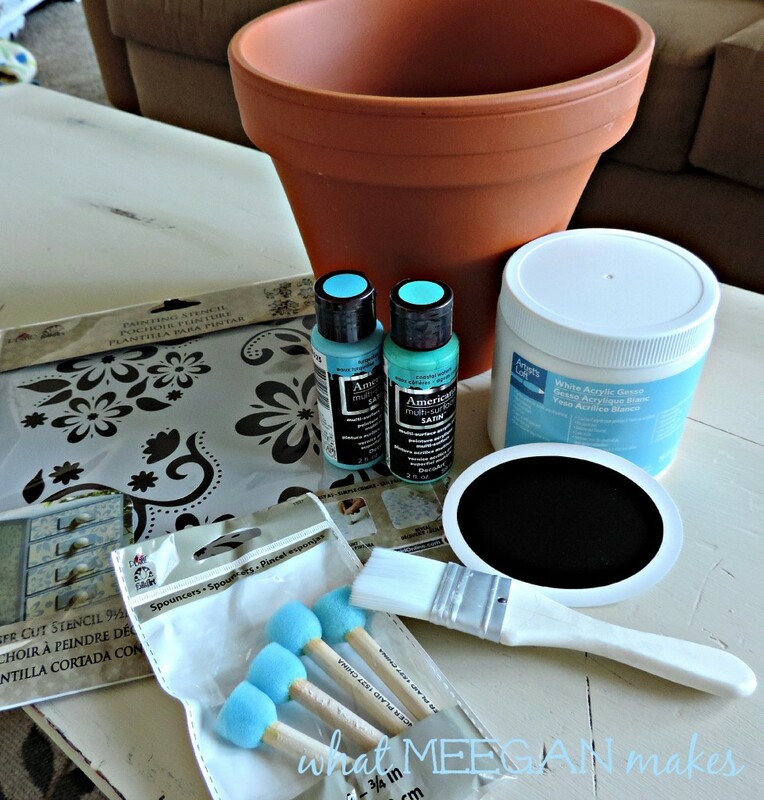 It is a sort of primer for pottery, canvas and even burlap. I was excited to give it a try on my fleur pot. Okay, let’s get on with the project. 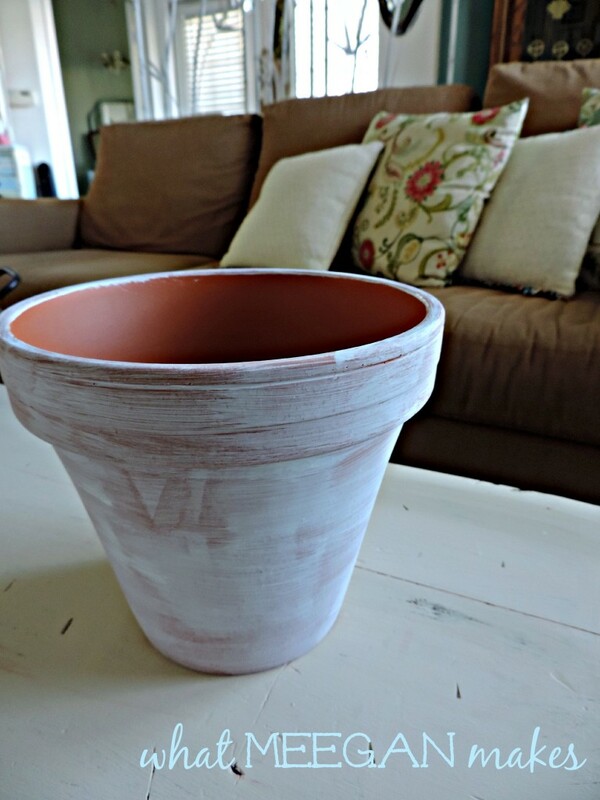 Using the Gesso, and a clean brush, I “painted” my pot with one fairly thin layer. Once it was dry, I painted another layer of Gesso. While the second layer was drying I gathered the blue paint, my stencilsand the pouncers I was going to need next. 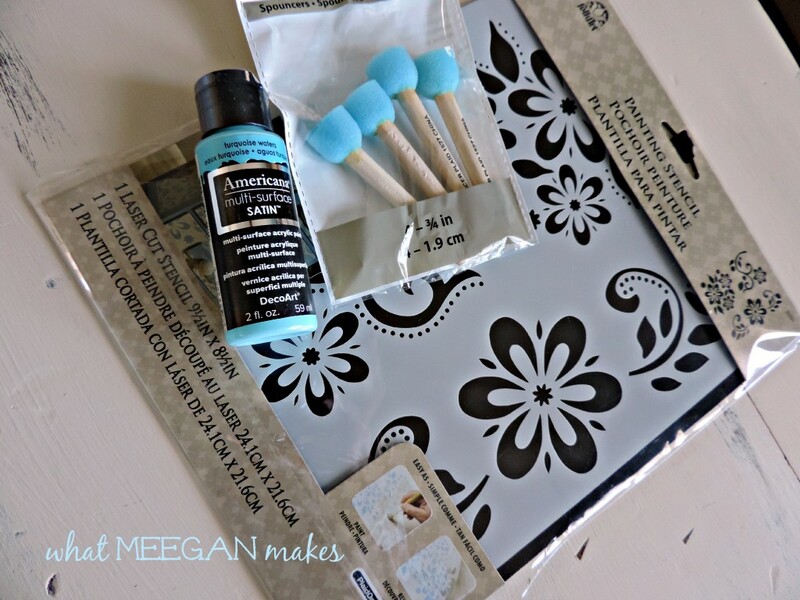 Holding the stencil in place, I used my pouncer to lightly add my Coastal Waters paint. 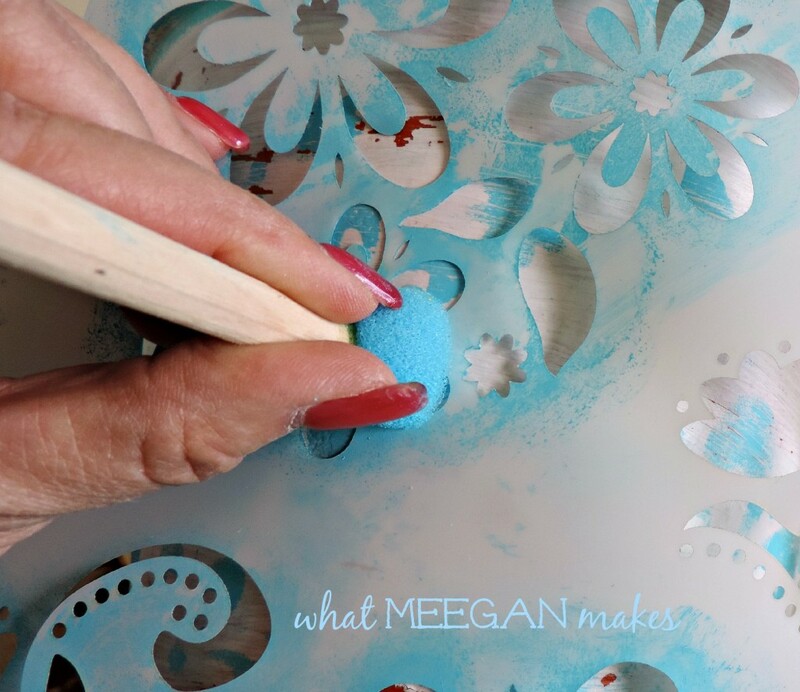 Turning the stencil in different directions, I was able to make my own original pattern. Next came the rim. I wanted to use a slightly different blue for the rim. So, I chose Turquoise Waters. I am liking the look so far!! But, if you know me, I like a roughed up and worn look. 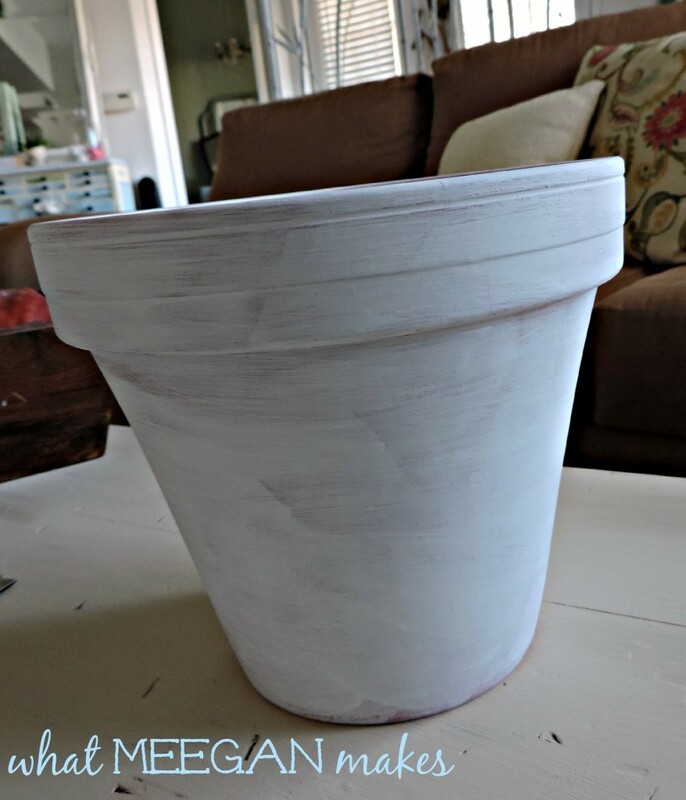 Using a 60 grit sandpaper I sanded the rim and various spots on the pot. NOW, I really like it!! 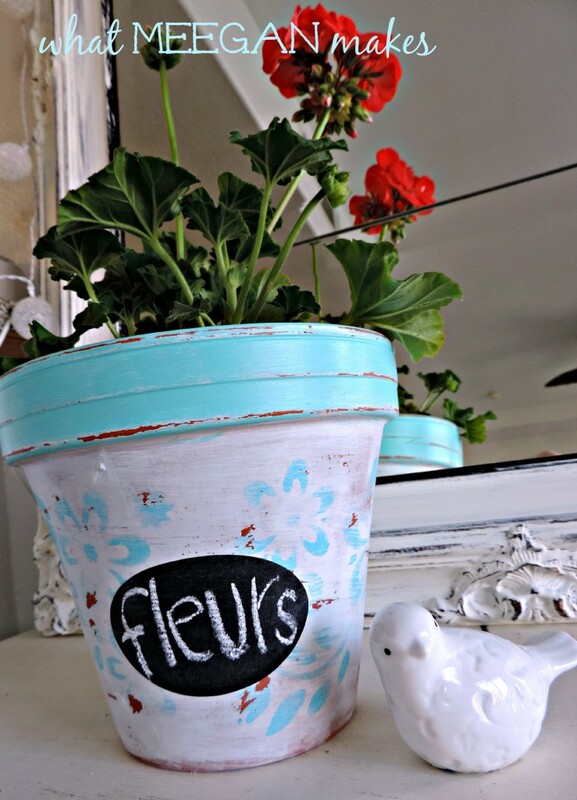 I used my chalkboard sticker to write “fleurs”. Easy Peasy! Adding the geraniums was a no brainer for me. They always remind me of Spring! 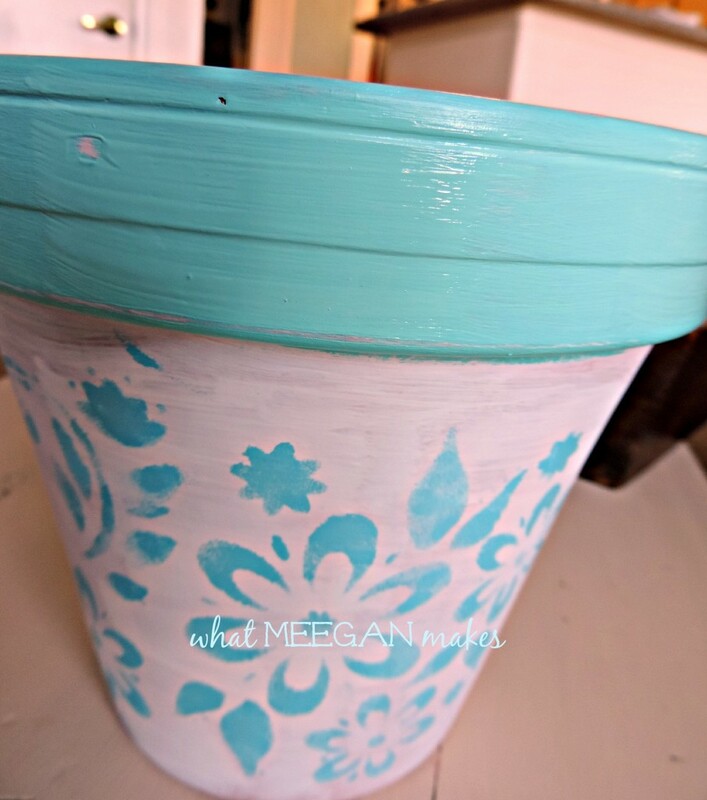 I was visualizing this Spring Inspired Fleur Pot in a floral market somewhere in France during the Spring or Summer. Maybe even on someone’s doorstep, there. 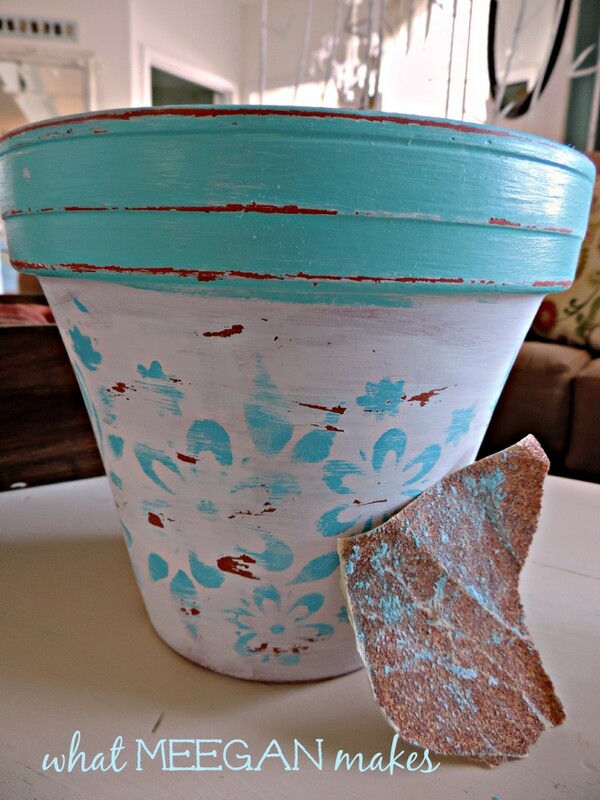 Where would you set this fleur pot? 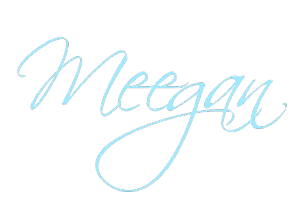 Are you following me by email yet? I would not want you to miss out on my posts. How fun! I love the pot you made. It is super cute! Wish I lived closer, but I don’t think I can make it from Texas…lol. Have a great time! I love this idea. 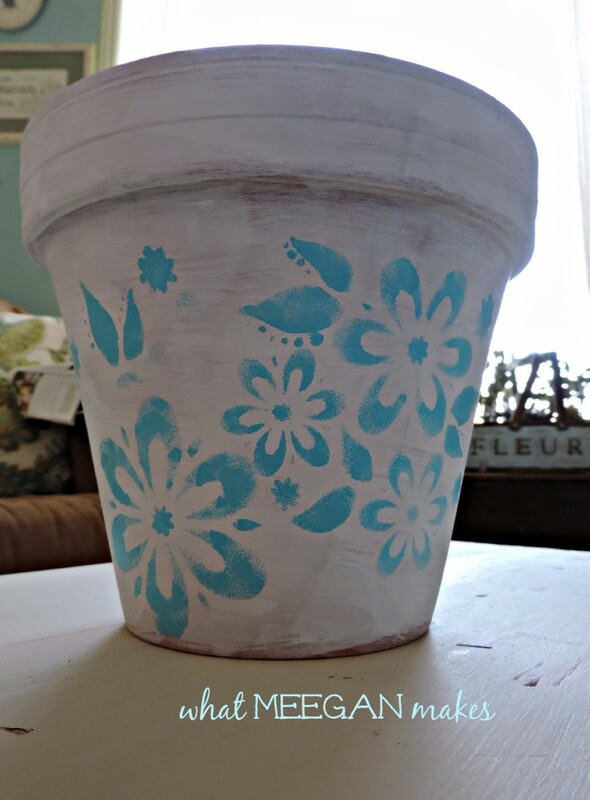 So pretty, easy and fun. I LOVE your project! Have fun on Sunday! So very cute! Enjoyed getting to know you + your blog from the Pinterest Party! Thanks for stopping by Sarah. I am honored to have you here. It has been a really fun experience, hasn’t it?